Contemporary business-to-business (B2B) industries consist of networks of customers, competitors and other stakeholders. Firms which manage their relationships with these important stakeholders are more likely to enjoy a sustained competitive advantage in the international business environment. This book is the first to provide a comprehensive overview of the field from a broad and accessible perspective. The authors bring an authoritative, scholarly understanding to the subject, taking readers through the entire process of creating, developing and maintaining B2B networks. Case studies illustrating each chapter include: Apple, Panasonic, Johnson & Johnson, Epson and Samsung. 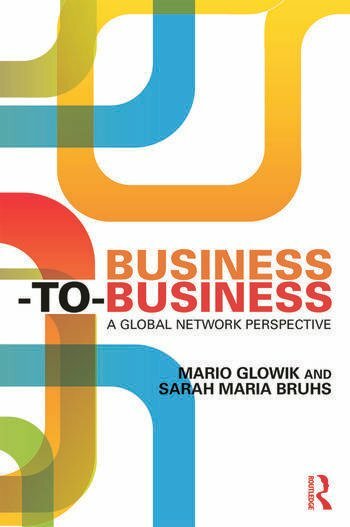 In providing a single and explicit established academic framework for understanding business networks in a global setting, this book is vital reading for students and researchers involved with international management, international marketing and strategic management. Mario Glowik Professor of International Strategic Management at the Berlin School of Economics and Law, Germany. Sarah Maria Bruhs is Research Associate at The Free University of Berlin, Germany.